Last week my kids got excited about the possibility of snow, which turned out to be only ice. Since we can’t make any real snowmen, the kids and I made these adorable Mix and Match Magnetic Snowmen. Aren’t they cute? Easy too! Even better, creating them doesn’t make any extra laundry for Momma like real snowman making would! 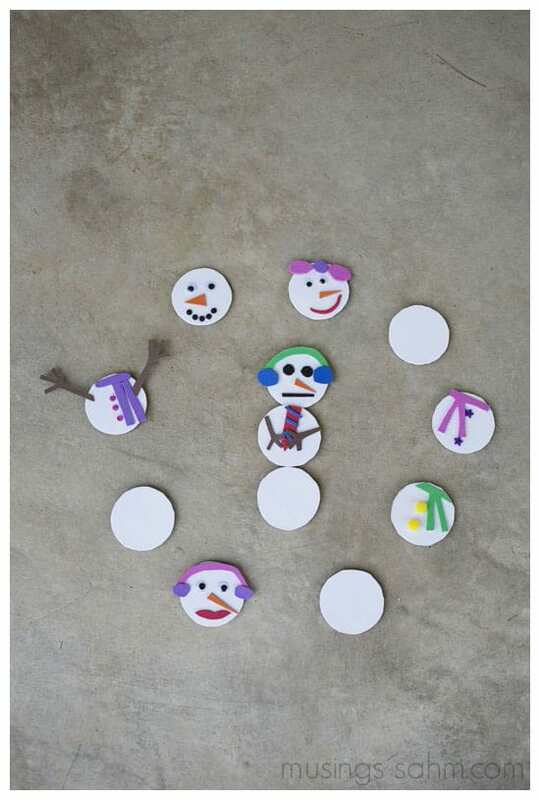 I shared an easy tutorial for making this fun craft over at Musings from a Stay at Home Mom, so click on over and make Mix and Match Magnetic Snowmen with your kids! 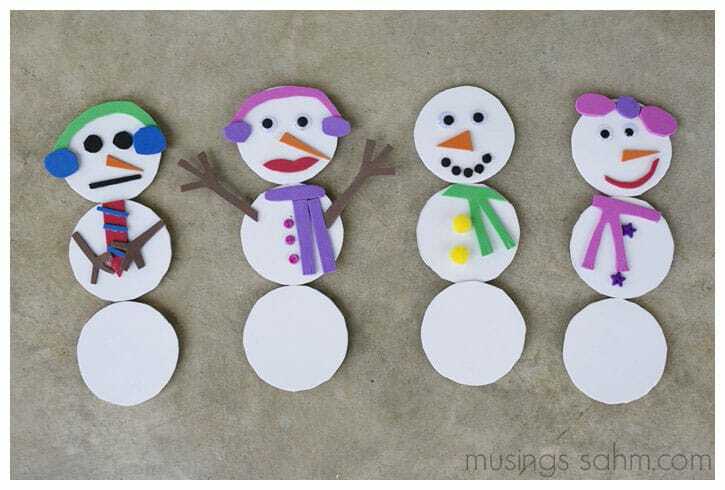 Not only are they fun to create, but they are perfect for keeping preschoolers busy as they mix and match the magnetic pieces to make fun, pretty or silly snowmen. 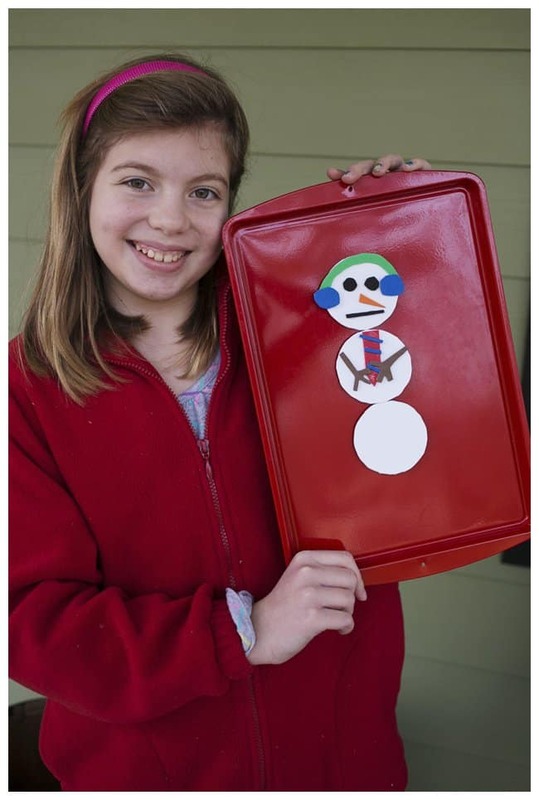 My little girls really enjoy playing with their snowmen while their older siblings complete homeschool assignments.